Magnificently UPDATED RECENTLY with CARRARA MARBLE COUNTERTOPS,glass tile backsplash,induction cooktop, 2 stainless steel convection ovens & freshly painted cabinets, a big kitchen complements the STUNNING WOOD FLOORS throughout the home.An OPEN FLOORPLAN with breakfast area nestled in a bay window offers views of the WOODED PRIVATE BACKYARD & 30X15 PERGOLA COVERED STAMPED CONCRETE OUTDOOR LIVING AREA. 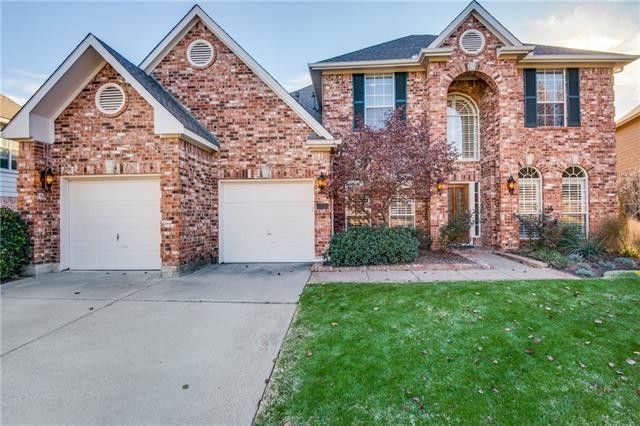 Open to the kitchen & breakfast area, a family room is warmed by a brick fireplace. NEW PLANTATION SHUTTERS adorn the arched windows brightening the formal living & dining areas.A private 1st floor guestroom could make an IDEAL STUDY. 5 large private bedrooms & 3 full baths. TANDEM 3-CAR GARAGE has epoxy floors. Directions: MULTIPLE OFFERS. PLEASE PROVIDE BEST AND FINAL OFFERS BEFORE 10:00 AM ON JANUARY 8, 2018. &#xD;&#xA;From Highland Shores Rd., turn onto Hillside. Turn right onto Knoll Court. The home is on the left side of the culdesac. Sign in the yard.